George Sitwell of Renishaw in north–east Derbyshire, an ancestor of the well known literary family, lived from 1601 to 1667. For most of his adult life he was involved in the iron trade, owning his own blast furnace, leasing other works in Derbyshire and Nottinghamshire, and producing pig and bar iron, wrought ironware, nails and castings. 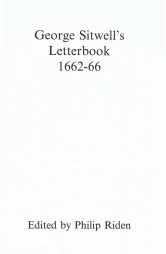 For the last few years of his life a letterbook survives, containing copies of some 500 items outgoing correspondence. 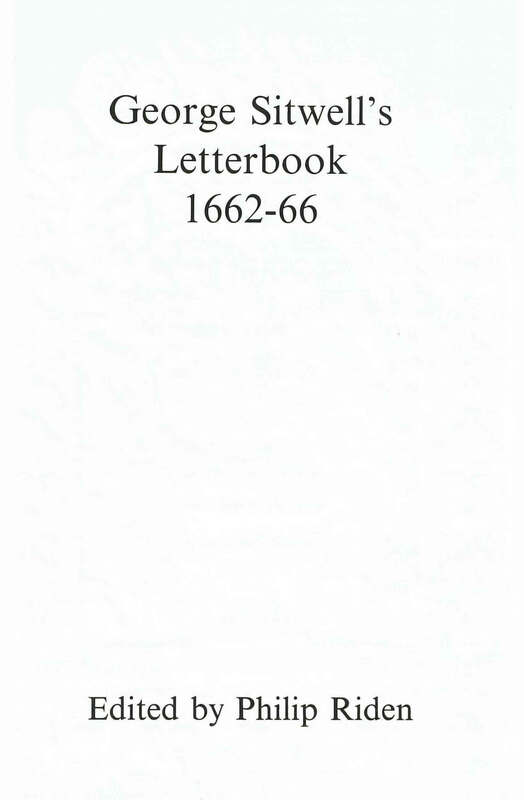 Sitwell wrote almost daily to fellow ironmasters such as Lionel Copley of Yorkshire and Humphrey Jennens of Birmingham, family and friends in Derbyshire and beyond, local gentry, iron merchants and other customers, and in particular to his own London factor, Ralph Francis. The book supplies a wealth of information about the operations of a country ironmaster, including raw materials, products and sales. On the sales side the material is especially strong on the London trade, exports and dealings with the Navy Board. There is also much incidental detail on money–lending, credit, transport and the postal service, public affairs in London and Derbyshire, and the general life of a gentry family. Two of Sitwell&apos;s sons were serving abroad as merchants&apos; factors and the book contains some illuminating letters about trade with Spain and Syria.